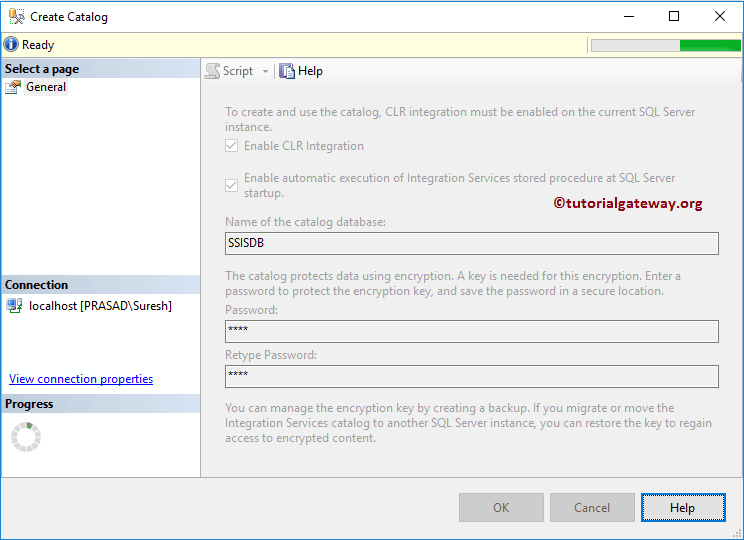 The SSIS Catalog, or SSISDB catalog (or Integration Services Catalog) is very important to work with the Interrogation service projects. 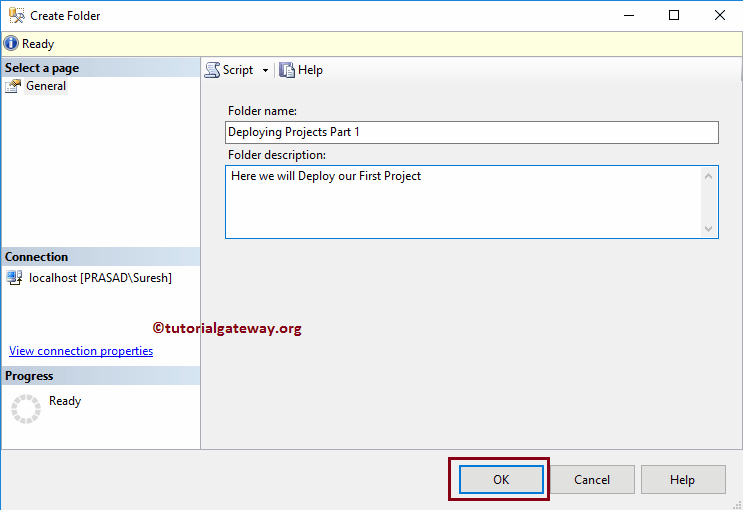 I must say, It is the basic requirement to deploy SSIS packages. 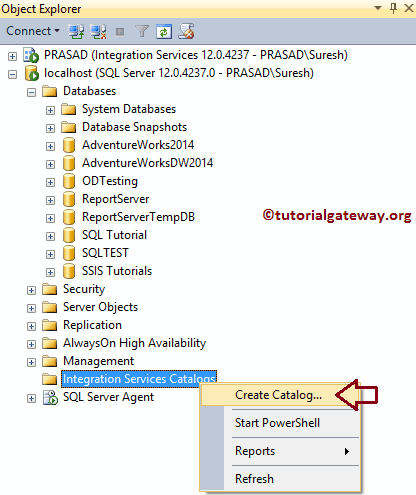 In this article we will you step by step approach to create SSIS catalog (Integration Service Catalog) with example. 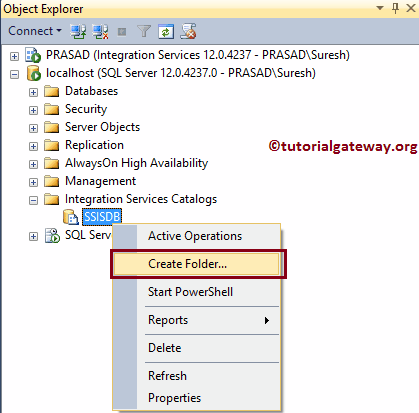 In order to create SSIS catalog, first open the SQL Server Management Studio. 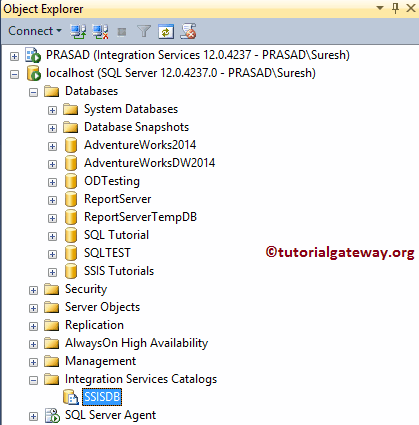 Under the Object Explorer window, Please navigate yourself to Integration Services Catalogs folder as shown below. If you, or your team member already created a catalog then they will appear under this folder. If not, right-click on the folder will open the context menu. Please select the Create catalog.. option as we shown below. Once you select Create catalog.. option, a new window will be opened as we shown below. 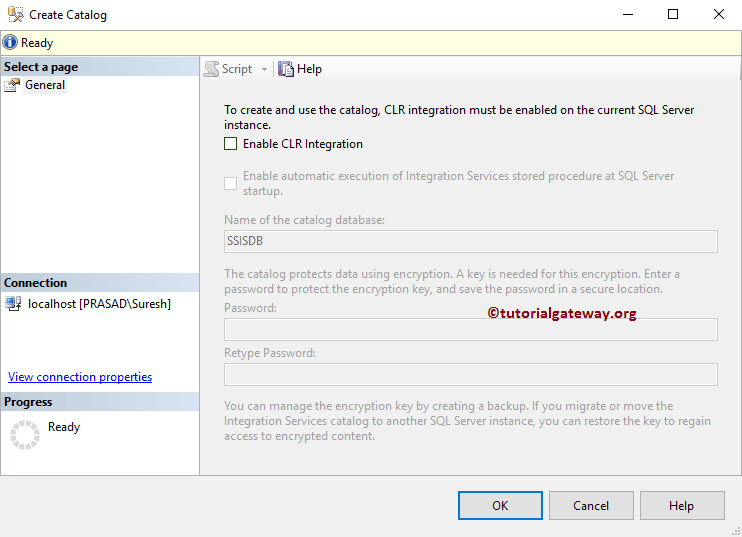 In order to create, or use the SSIS catalog, you have to select the Enable CLR Integration option. 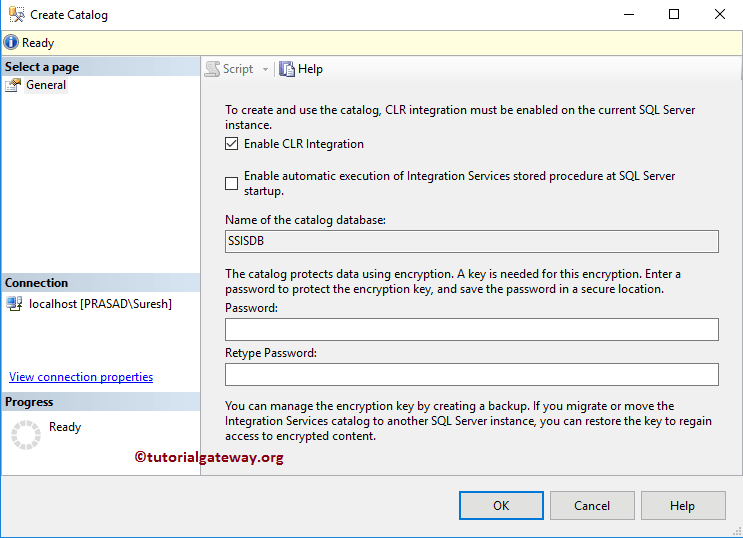 Please check mark the Enable automatic execution of Integration Services stored procedure at SQL Server Startup option, and provide the password as we shown below. 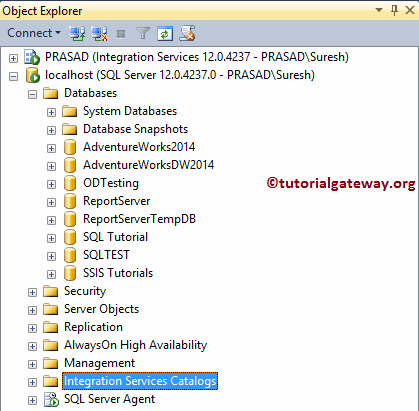 Once you click OK button, it will start creating Integration Service catalog. Let me create a new folder. 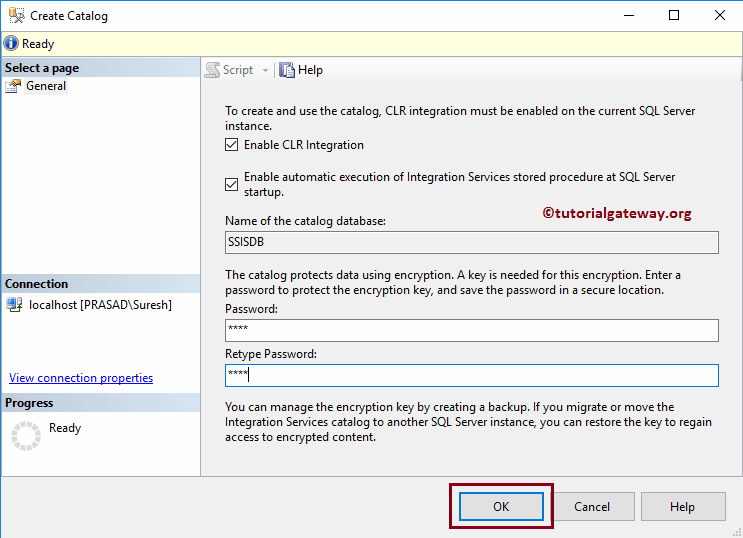 In order to do so, right-click on the newly created SSIS Catalog, and select the Create Folder… option from the context menu. Once you select the Create Folder.. option, a new window will opened to create a new folder. Please provide the folder name, and valid description. When you deploy projects from BIDS, you \have to select this folder. Now you can see the newly created folder. 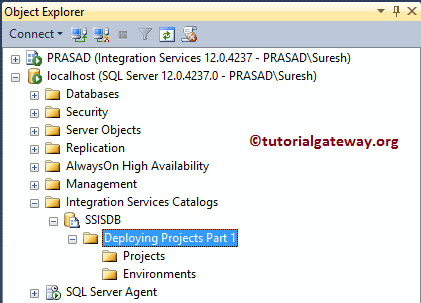 If you observe closely, Integration Services automatically added the Projects, and Environments folder to store the SSIS Packages, and variables.